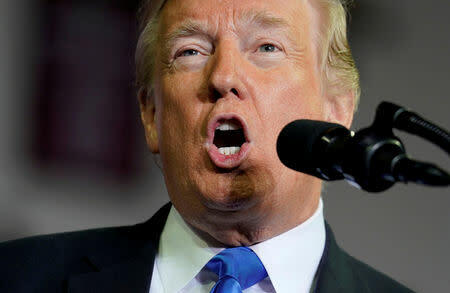 WASHINGTON (Reuters) - U.S. President Donald Trump heaped more criticism on the Federal Reserve in an interview with Fox Business Network on Tuesday, extending his discontent beyond its chairman, Jerome Powell, whom he has frequently critiqued in public. Last week, Trump criticized the U.S. central bank twice, saying it was raising interest rates so swiftly that it threatened the country's economic health. Nonetheless, in the face of a hot labour market and signs of inflation, the Fed has settled into a gradual policy tightening and is expected to raise interest rates again in December.